The dental attorneys at Nardone Limited in Columbus, Ohio frequently negotiate lease terms on behalf of dental clients. In Part 1 and Part 2 of this series of articles addressing important terms that every dentist should consider before entering into a lease agreement, we focused our discussion on exclusivity, the lease term, use restrictions, parking, and signage. In Part 3 of this series, we discussed the importance of fully understanding each party’s maintenance and repair obligations with respect to the premises. While each of the above terms directly impact a dentist’s operation of his dental practice during the lease term, a prudent dentist will also carefully consider the end game with respect to the property. That is, do you intend to purchase the property at some point in the future? Even if purchasing the property seems like a remote possibility when negotiating the lease, the circumstances and your intentions may change after a period of time. Thus, in many instances, we advise our dental clients to explore the possibility of adding a purchase option in the lease agreement. At the very least, we recommend including a right of first refusal to purchase the property. There are a number of reasons that a dentist may decide to lease his dental office, instead of purchasing the property. For instance, maybe a young dentist is leasing the property in connection with the purchase of a dental practice and does not meet the bank’s liquidity requirements to qualify for a loan to purchase both the dental practice and the real estate. Maybe the dentist has future plans to expand the practice by hiring multiple associates, and the building has no space to add operatories. Maybe the owning doctor wants to maintain rental income for a period of time after selling his practice and is simply unwilling to sell the property at the same time. Regardless of the reason for leasing instead of purchasing, every dentist should think long term, and consider whether purchasing the real estate is part of his future plans. If there is even a small chance, we typically advise negotiating a purchase option into the lease agreement. A purchase option gives the tenant the right to purchase the leased real estate after a certain period of time, and for a set purchase price. Sometimes the parties will agree upon the purchase price up front and include that price in the lease agreement. It is more common, however, to tie the purchase price to the fair market value—which is usually determined by appraisal at the time of exercising the option. After the agreed upon period has passed (e.g., after the initial 5-year lease term), the tenant is generally required to provide the landlord with written notice of the tenant’s intent to exercise his purchase option. 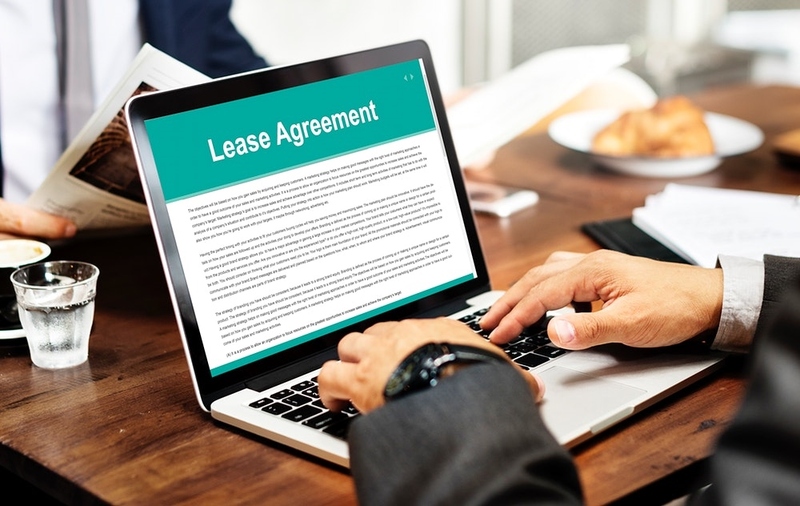 A well-drafted lease agreement will also address some of the other key terms—besides the purchase price—that the parties must include in the real estate purchase agreement. For instance, the purchase option provision should address the allocation of closing costs, the timing for closing on the sale and purchase, and the buying dentist’s due diligence rights. A landlord may not always be willing to provide the tenant with a purchase option. In those instances, a leasing dentist should—at the very least—request a right of first refusal. A right of first refusal in a lease agreement gives the tenant the first right to purchase the real estate at any time a third party presents a purchase offer to the landlord, and the landlord intends to accept the offer. Generally, upon receiving an offer that the landlord intends to accept, the landlord is required to provide tenant with notice of the offered terms, and the tenant will then have a set period of time to exercise its right of first refusal. To exercise this right, the tenant must notify the landlord that the tenant will purchase the property on the same terms and conditions as set forth in the third-party offer. Most landlords are willing to include this provision in a dentist’s lease agreement, since there is generally no downside for the landlord. From the landlord’s perspective, as long as he is getting the purchase price and terms that he wants for the property, he is usually indifferent as to who is buying the property. The dentist who is leasing the property, on the other hand, may not be in a position initially to purchase the property, or the landlord may not have been willing to sell the property. But, upon the landlord’s receipt of a third-party offer, a right of first refusal will allow the dentist to consider whether the circumstances are now right to purchase the property. The dental attorneys at Nardone Limited have vast experience negotiating lease agreements on behalf of their dental clients—including purchase options and rights of first refusal with respect to the practice location. If you need guidance regarding a lease agreement for your dental practice office, contact Nardone Limited.